A ready-to-print handout worship guide (service sheet) has been created for your use. You may tweek it to reflect your preferences. Centre piece on each table: Advent/Christmas items; keep it simple, e.g. a glass bowl of Christmas tree baubles, one or two figures from a nativity scene (crib), a glass bowl or vase with fairy lights inside (battery powered), a candle surrounded by holly. For discussion one might include other more secular Christmas items, e.g. Santa Claus, a reindeer, a mini Christmas tree, a wrapped present. Each table need not hold the same item( s). 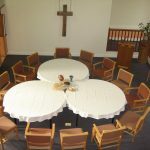 Communion elements: juice – or grapes – and bread to be shared (gluten free and non-alcoholic, so no one is excluded). These might be set out before the service on each table, or set aside to be brought forward later in the service, especially if space on table seems cluttered. 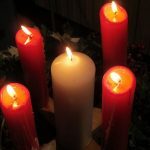 Consider distributing candles near the close of the service to take home and to light during the week, perhaps with a sprig of holly or other greenery. Look at the items in the centre of your table. 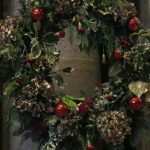 Which are your favourite Advent and Christmas traditions? Why? Which Advent and Christmas traditions would you like to discontinue? Why? What new tradition might you like to start? Use Bibles on tables or printout. If possible, use multiple readers, reading 1-2 verses each. The suggested translation is from The Inclusive Bible. you have brought them abundant joy! or as warriors celebrate when dividing spoils. as you did at the defeat of Midian. is now used as fuel for the fire. upon whose shoulders dominion will rest. Eternal Protector, Champion of Peace. Simple Living provides lyrics for Christmas Carols with Justice. The verses blend traditional and bold progressive language. 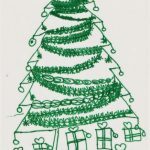 They are easy to use and bring the real world into Christmas. Each carol is sung on YouTube and the printed lyrics are easy to copy. Singing a New Song, a series of songbooks by George Stuart of Australia, include inclusive hymns for the entire Church Year. George’s new lyrics fit familiar tunes so are easy to sing. George has given permission for everyone to use the songs. Choose one or two of the following: a video, a statement of faith, a word of hope, the provided sermon/story from South Africa, or another reading of your own choosing. If the congregation sits comfortably with watching a video, Simple Living provides two videos (Have yourself a merry little Christmas 1 & 2; 6 min & 10 min) challenging us to reflect on the Christmas traditions we uphold, e.g. gift-giving, decorations, and offering suggestions for alternatives. They are not great, but they do raise important questions about how we observe and celebrate the birth of Jesus. I don’t not believe God “allows” bad things to happen. This reading is posted on Worship Words…click here. a comforting and a frightening place. A baby born in Zululand; and this shall be a sign! This is a complete sermon written from the perspective of a young minister and her 6-year-old daughter. Attached for consideration and inspiration. They live illegally in South Africa in a rural area designated ‘Blacks-only’ under the laws of apartheid. Don’t worry about correct pronunciation of the Zulu names, merely choose a pronunciation you are comfortable with, and stick with it throughout. Ingane iyabuya = in-gone-nay ee-yah-boo-yah means: the baby is coming! Ana: Something has awakened me. I rest drowsing in our crowded bed. Th: My brother, Mandla, and I have crowded into our parents’ bed because it is so cold in our own beds! We snuggle with them because they are so much warmer! And, anyway, this day is my sixth birthday and I figure mum and dad will let us in their bed early on this day. 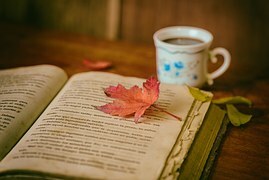 Ana: Not sure what has stirred me from my long winter’s nap, I lie in bed cataloging all that lies ahead of me this day. Ana: And, I am still working on Sunday’s sermon! Then, (rap on pulpit) knock, knock, knock, knock, a persistent rapping at the door. Now I know what awoke me! Th: I feel my mum moving the blankets, letting in cold air. I burrow further under the covers. I hear her strike a match and a bit of its light reaches me. I wish she would stop letting in the cold! Ana: Four thirty! (rap on pulpit) The knocking continues. Who is here at 4:30 in the morning? Th: I hear my parents talking. Dad says, “it’s your turn.” Mum lets in more cold air when she gets out of bed. She lights a kerosene lamp. Ana: I resentfully wrap a robe around me. I go to the front door and when I open it, two church members, Khanisiwe Mhlongo and Philisiwe Nene emerge from the cold and dark of a bleak mid-winter night. Ana: South Africa, 1990, apartheid grips the country. We live, illegally, at Mfanefile, a small, Zulu community. It is illegal because we are white and this is an area designated ‘Blacks-only’. A single dirt road gives us access to the wider world. The nearest hospital is twelve kilometers distant. Th: My parents own one of the few cars in our community. People often come to them for help with transport, but this is the first time anyone has come this early in the morning! Ana: As I dress, Thandiwe and Mandla poke their noses out from under the covers into the frosty air. Th: Rubbing sleep from our eyes, we ask the obvious questions. Is Ma Mhlongo having a baby? Are you taking her to hospital? And the not so obvious question: Can we come, too? Ana: Both kids clearly relish this added excitement to Thandiwe’s birthday. If I take the kids with me, Tod can get the house ready for the birthday party, yes…including baking the cake…, and he will not have the kids to look after while he is doing it. I say yes to the kids and they are out of the warm bed, where I wish I was, in a heartbeat! Too bad they are not like that now that they are young adults. Th: I greet Khanisiwe and Philisiwe at our front door. I step outside and glance around. A sliver of moon is just rising in the east. The frigid air provides a clear sky. Stars twinkle against their velvet setting. Ana: I herd everyone into the car and we drive to the Mhlongo’s home. At the home, Thandiwe, Mandla and I wait while Philisiwe and Khanisiwe go fetch the mother-to-be. Th: Mum dozes off. I hear Philisiwe calling from the door of the hut. I tap mum’s shoulder and point up the hill. “She wants you,” I tell mum. Ana: “What now?” I wonder aloud. Th: My Zulu and Mandla’s is better than dad and mum’s but mum needs no translating when Philisiwe cries out, “Ingane iyabuya!” Which means? !… Yes! The baby is coming out! Ana: I dash up the hill, through the wooden cattle-kraal fence and into the candle lit hut. I am not sure what help I will be. Many times I think I should have gone to nursing school instead of seminary. The baby’s head is crowning. Luckily for me, AND the woman in labor, we are not alone. Gogo, grandmother, Mhlongo takes charge. She calls for towels and water. As I hand her a towel, the baby’s head emerges, quickly followed by two slippery shoulders. The baby slides out, a little grey heap. Is it alive? There seems to be A LOT of blood. Th: Mandla and I wait a long time. Mandla complains of the cold, but I think he is a little scared sitting in the dark. He is ready to climb up the hill and sit in the Mhlongo’s hut. He knows it will be warmer than the car. I try to tell him about babies being born, but he does not listen. He knows how to unbuckle himself. He climbs out of his car seat. I take him by the hand and we climb the hill to the Mhlongo’s home. All my childhood and young adult years, the Christmas sign of a baby wrapped in swaddling clothes and lying in a manger seemed, at the least, extraordinary to me if not out and out miraculous. But as I reflect on this winter morning, I realize, there is nothing extra-ordinary about a baby born in mean and rude surroundings. Babies are born in such settings every day. The vast majority of the people Tod and I baptize in Africa are born at home, close to the earth, close to their family’s most prized possession, the livestock which helps them survive. What IS miraculous, is when the child survives these humble beginnings. AND, what IS miraculous, is that God chooses to enter the world in the very same way: as one poor, humble, and vulnerable. This Christmas story we tell over and over again, what an amazing story of hope and promise. Emmanuel! God is with us, in each child, in each child of God. How great is God’s love for us? How great IS God’s love for us! Back at Mfanefile, South Africa, in that dimly lit hut, my worries about birthday presents, parties and Sunday’s sermon fade as the stars fade with the coming dawn. We hold our collective breaths, waiting and hoping for the bundle swaddled in those towels. Ana: long pause… Then, a cry! Life! Our baited breaths exhale into smiles. Tears spring to my eyes. Laughter and chattering erupt. I am exhilarated to have witnessed such a miracle. I am gratified that this wee one has managed, so far, to overcome all the obstacles facing a baby born black and poor in South Africa, or anywhere else in the world, for that matter. Th: Mum has a blanket and they give her the baby. I see he is a boy. She wraps him up. Ana: Gogo urges the mother on. The mother’s name is Ncane, which means, “little one.” Gogo Mhlongo massages Ncane’s stomach. The afterbirth is released. Th: Mum places the baby on Ma Mhlongo’s breast. Mother and child rest. Ana: I feel as though I am emerging from a dream. I take stock of my surroundings. I recall Thandiwe’s birth six years before on this very same day. I remember the clean hospital, compared to this mud hut with its cow-dung floor. The hospital’s bright lights in contrast to this flickering candle. The medical team with their shiny equipment and here a few thread-bare towels and a sharp piece of broken bottle. Th: Sometimes my mum gets so involved with her work she does not notice anything else. But now, I can tell she is noticing things. She looks at me and Mandla. She smiles but has this faraway look as though she is thinking of something else. I am feeling very happy. Today is MY birthday, but now it is also this little boy’s birthday! Ana: We leave mother and child resting peacefully. We step outside into the rosy light of dawn. We share a prayer of thanksgiving. And as we pause I reflect on my anxiety of what seems ages ago: Thandiwe’s birthday preparations, worries long forgotten in the presence of this most amazing of presents, a new life in our midst. And this will be a sign for you… Emmanuel! God with us! Where is God, for you, this Advent season? 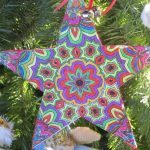 Which Advent/Christmas traditions bring you closer to God? What dark areas of your life need the light of God? Need hope? What dark areas in our world need the light of God? Need hope? Ask someone to read the passage from a Bible on the table, or from their own Bible or from a printout. This is the season of hope. Even though our world can seem dark and frightening, we live in hope. Even as we walk in darkness, a ray of hope is always shining in our midst. We know that Christ’s powerful love transforms darkness into light. Where in your life are you hopeful that you will grow in confidence? When has God transformed your darkness into light? Where might God be calling you to venture into a new light, out of an area of darkness in your life? Who has protected you and guided you during a time of darkness? How did they assist you returning to the light? There is hope, for our God is a God of hope. Trusting that God’s light can penetrate any darkness, we pray in hope for our world and those we love. God of hope, shine your light upon our world. God of Hope, you have granted us the use of five senses through which we experience your world. You have blessed us with sight, hearing, touch, smell and taste. Create in us a sensitive spirit, open to sense the beauty of your creation and able to sense the suffering and sorrow therein. During this Advent season we see the glitter and magic of Christmas lights. Help us also see how people, animals and even the very soil of your earth, suffer. Help us to see with your eyes, compassionate God, so that we will know how to help. 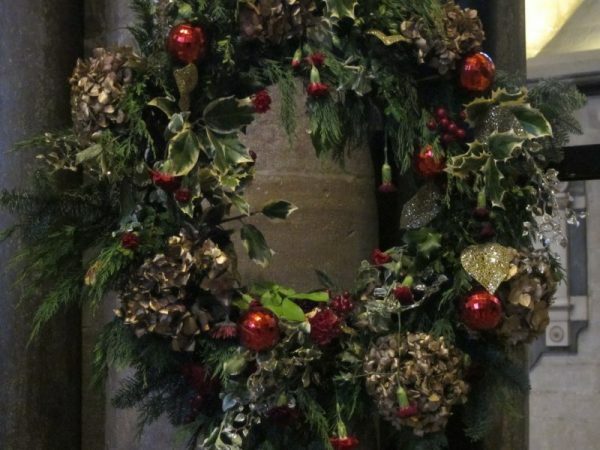 As Christmas approaches, we hear the cheerful chimes of bells and crackling of Yule logs. Help us also hear the cries of victims of violence and warfare. Open our ears to the cries of distress from families and children in our community, sighs of tension between co-workers and colleagues, words of misunderstanding between friends and neighbours. Help us listen patiently and offer your peace. During the holiday season, we will taste the sweetness of Christmas logs and fill ourselves at feasts. Save us from the excess and over-indulgence our culture promotes. Help us remember those for whom these holidays have a taste of bitterness, disappointment, anger and grief. Pour your sweet blessing upon them, that they might taste the refreshing cup of your assurance. We smell the aroma of Christmas trees, mince pies and mulled wine. Help these wonderful Christmas smells not completely capture our senses. Help us continue to smell the pollution we have inflicted on your world, and the stench of poverty. Help us to remedy this, so that we may smell again the freshness of creation and the wholeness of humanity. During this season of love, as we hug our family or kiss under the mistletoe, remind us of those whom it is difficult to touch, difficult to reach out to. Help us extend a compassionate hand and a loving embrace to all your family – the outcast, the poor, the stranger, the sick and the suffering. Creator of our senses, sensitize us to the true meaning of Christmas. May our holiday experiences in sight, sound, taste, aroma and touch remind us of the birth of a child proclaiming your love for the world. God of hope, shine your light upon our world. Amen. We continue our prayer in action, extending our hands and embrace around the world as we light candles to remember those in need of our prayers and love. You are invited to light a candle, reaching out in prayer to people you love, people in need, people on our minds and in our heart. If you would like to share your prayer, feel free to share aloud with the group, or you may light the candle in silence. God, we place into your hands all that we see, hear, taste, smell, and touch. Encircle those we have named, and those left un-named, with your love. Choose a familiar reflective song/hymn to lead into communion. A Christmas carol can be appropriate for the season. 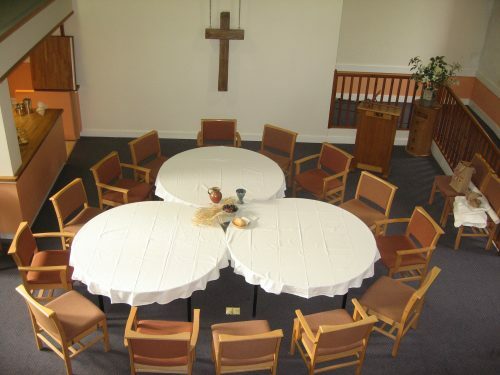 This communion table is set generously before us. On it is prepared a meal of hope and promise. All are welcome to partake, whoever we are or are not, whatever we have done or left undone. There is a place for everyone. This meal unites us as the children of God, followers of Jesus and companions with one another. The bread is gluten free and the juice is non-alcoholic so that all may partake freely. No one is excluded from this meal. As we approach this meal of hope and promise, we prepare our hearts and minds by confessing our mistakes and hurtful actions, by clearing away all the clutter blocking out the light of God. the lonely and the suffering. illuminated in our sisters and brothers. and move our hearts to joyful recognition and compassion. opening them to the illumination of your love and forgiveness. Our hope is in God who patiently waits for us, diligently watches over us and generously forgives us. Emmanuel, God is with us! This, like the bread and juice Jesus shared, is ordinary bread and ordinary juice. But when we partake of this meal, it becomes extraordinary, uniting us as the ‘body of Christ.’ Through it we are transformed into the eyes, ears, hands and feet of Christ today. committed to sharing your hope and love with the world. The body of Jesus, broken. The body of Christ made whole again in each of us. The blood of Jesus poured out for many. The blood of Christ, the life-source that empowers us to be the hands and heart of Christ in our world. one family, united with you, one another and all peoples. This we pray in hope. Ministering to you in Jesus’s name, all things are ready. The body of Jesus, broken. The body of Christ made whole again in each of us. Partake/eat of the Bread of Life. The blood of Jesus poured out for many. Partake/drink of the life-source that forgives and empowers us to be the hands and heart of Christ in our world. and uniting us through this meal. illuminate the path of patience, compassion and service. Sing a familiar uplifting song/carol, or a carol with new words sung to a familiar tune. See previous suggestions. This week, meditate daily on hope, and the things you hope for. Consider distributing candles to light at home during the week, perhaps with a sprig of holly or other greenery. Have another cuppa? A mince pie? Some Christmas pudding?